Sean T. was born in Trinidad and moved to New York to be with his mother at her request. He served three years active duty and three years inactive/reserve duty in the US Navy, traveling to more than 11 European countries. His most unforgettable military experience was a traumatic injury while he and a shipmate pushed a 500/600 pound drum up the gangplank. The shipmate stumbled and fell, and the drum’s entire weight was braced by Sean’s body, nearly breaking his back. The pain was so excruciating that shipmates had to carry him to sick bay, where his injury was documented as a simple ongoing backache rather than a traumatic accidental injury. Treatment was four days bed rest and two weeks light duty. As the resulting symptoms and pain worsened, doctors reached the limits of pain medication they could prescribe to relieve the pain. Sean fell into severe depression and PTSD resulting from unrelieved pain and began a path of self-medication. Sean sought service-connected disability, treatment, and compensation from the military, but a 100% service-connected disability has been denied. During an episode of severe depression and inpatient treatment, Sean’s home was burglarized, leaving him with nothing. 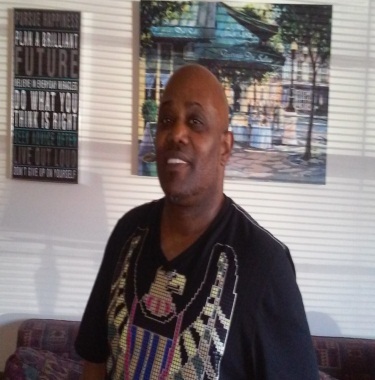 After paying off outstanding rent and cancelling his housing lease, the VA and United Way connected Sean to Homes of Light Housing Program, where Sean faithfully attended off-site meetings and kept attending his home church. On April 27, he will have one year sobriety and is very proud of that success. The VA recently sent Sean to be re-evaluated for disability. If awarded 100% disability, he wants to open a couple of transitional homes and connect with the VA .